Happy New Year! We can’t believe it’s already here! 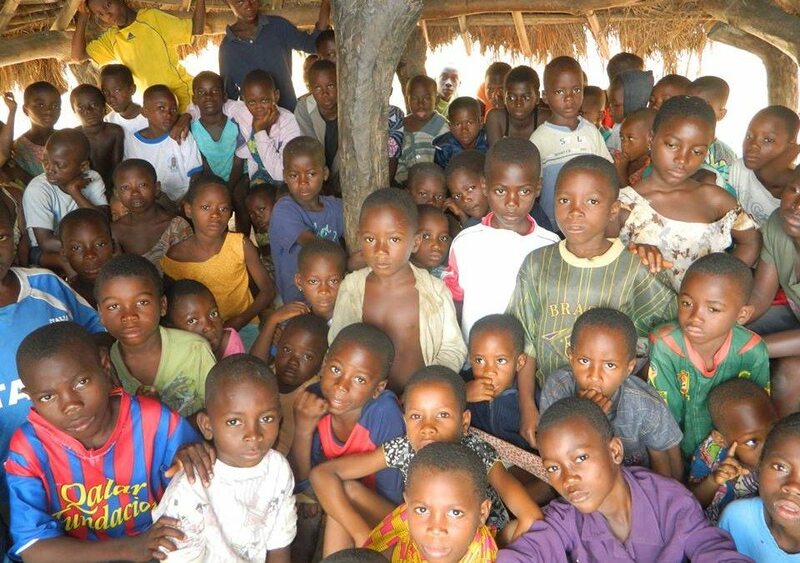 New Years is a BIG celebration here in TOGO. People fill the churches the night before (even though they may not go to church all year) and ring in the new year with fasting, prayers and praise! We are on our way back to the United States thanks to many who gave toward our trip. We couldn’t have done it without you, May God doubly bless you! We will be back in Tyler, TX today! We are excited to be starting our new year coming home to see our kids, grandkids, church family, and friends. It’s been a year and we truly need your face-to-face connection! We have our schedule for the year and expect GOD to do more through us and our medical/ministry team; afterall He is a BIG GOD! There will be 450 surgeries scheduled and 41 weeks of ministry for 2017! A lot can happen and we are expecting God to move and change lives. 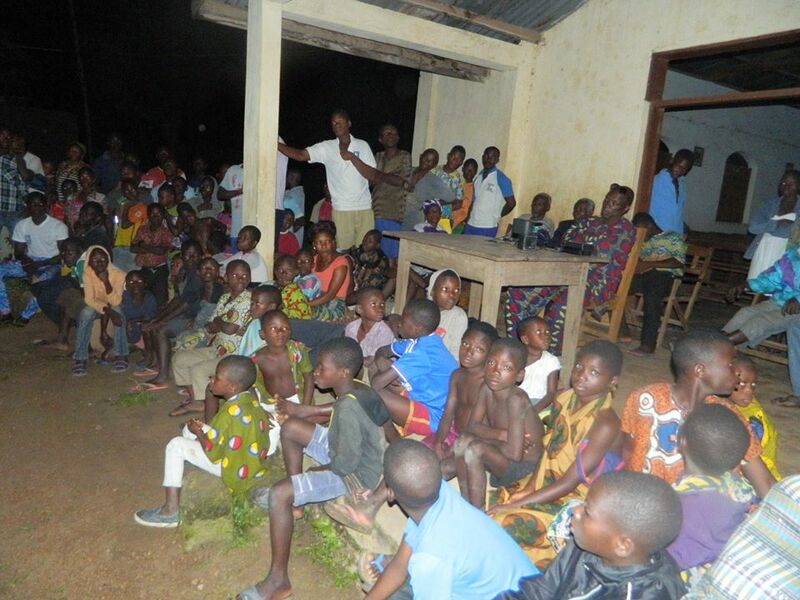 We are asking you to pray along with us that God will do MORE miracles, answer MORE prayers, give MORE dreams, heal MORE of the sick/blind, start MORE small churches in each of these villages and do whatever God wants to do in the area of Elavagnon. 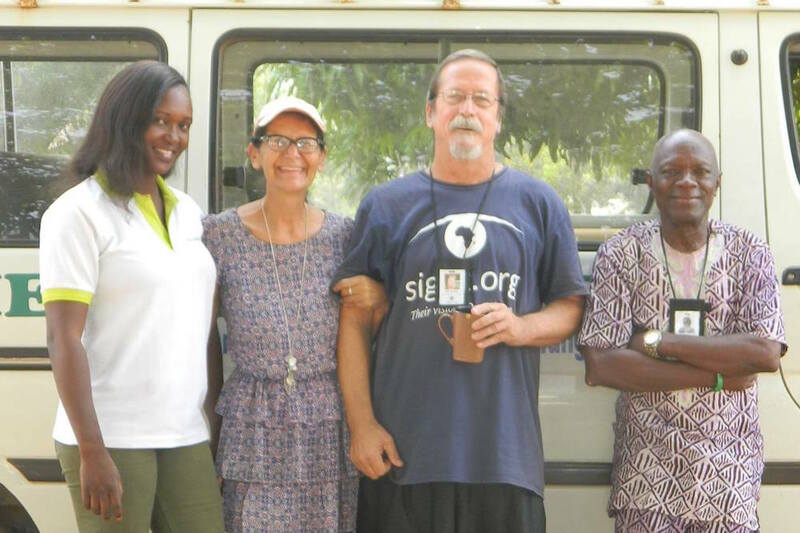 We have enjoyed working with our Sight.org medical and ministry teams. Our Directors have been awesome and we couldn’t ask for a better team. We are looking forward to what God wants to do through each of these individuals!! Hello friends and family. It’s November and we have entered the second season of the year, Harmatten season. The rains have ended and vegetation is drying up and everything is turning brown. There is fine dust or dirt in the air and the temperatures are HOT and cool in the evenings. 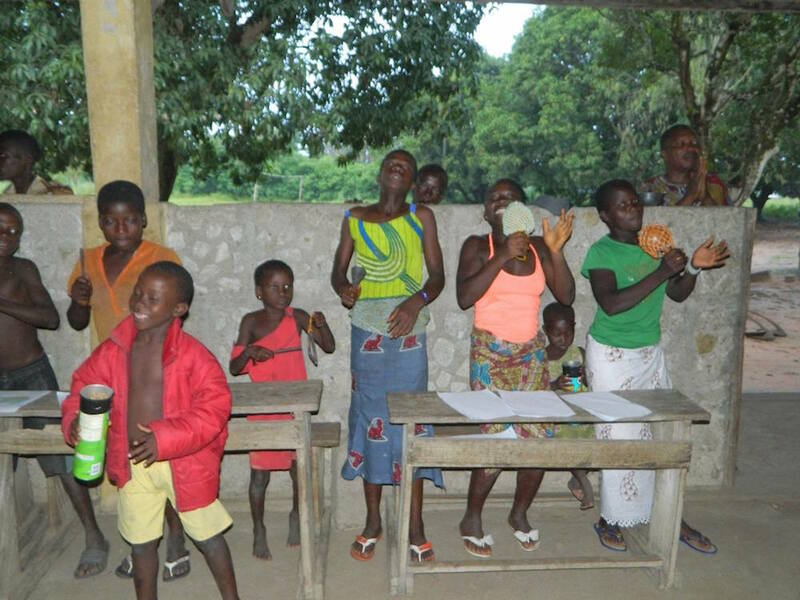 We totally miss FALL and SPRING and even WINTER—Togo does NOT have these seasons. So needless to say, Togo does not celebrate Thanksgiving like Americans, and only some Togolese people celebrate Christmas. I have not seen any Christmas decorations here in Atakpame but I’m told you can find it in Lomé. I tried making a Christmas tree out of toilet paper rolls and that was a waste of time. It looked more like a rocket with lots of fins. I am going to have to be MORE creative to come up with something to make it feel like Christmas around here. 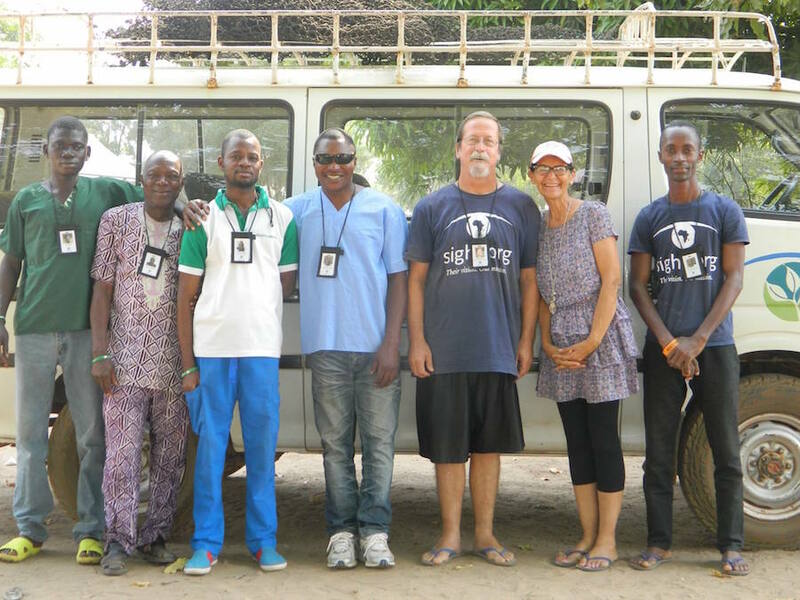 Sight.org has served in the Plateau region for a year now ending in December and will be moving to another region for a year. 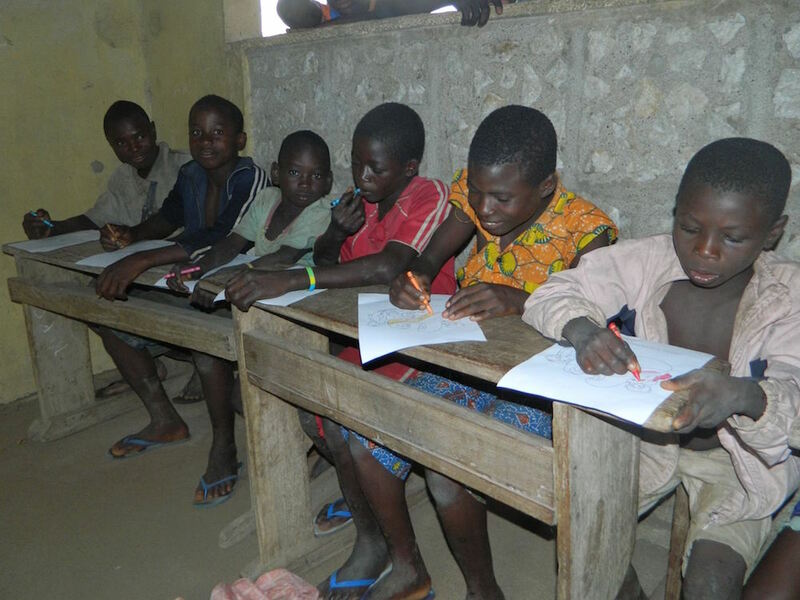 The government wants us to minister in Elavagnon, northeast of Atakpame. We are saddened by this as the Plateau region is very beautiful and full of mountains and we have made many friends in the villages we have visited. We could possibly be back in four years to see them again. We will be going to a flat, plains area. I will be able to tell you much more about it in January when we go to check it out. 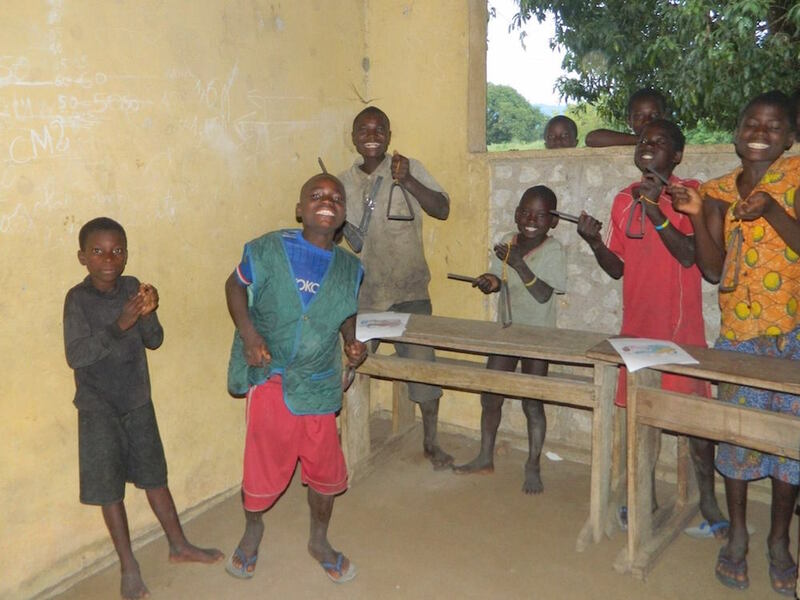 We will especially miss one village, Adjahon. It’s a very small village but we have built beautiful relationships with these people. 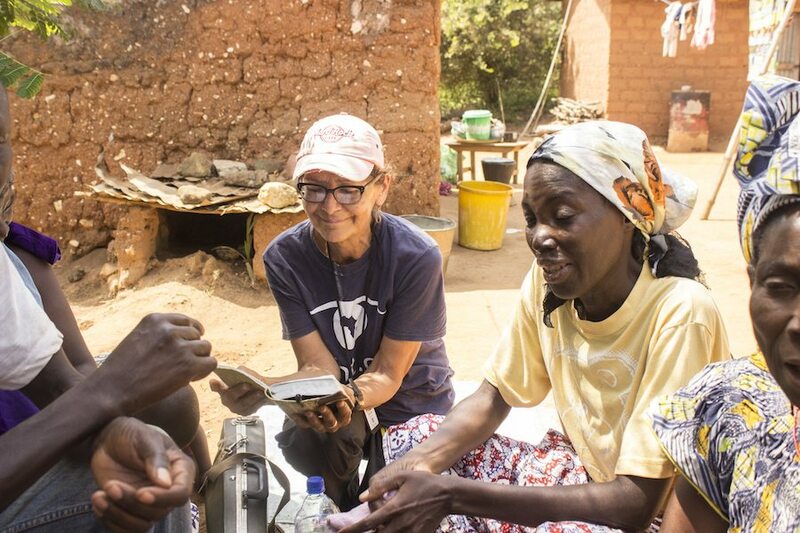 They have been growing in God’s Word as they have an audio Bible to listen to each week. There have been around twenty adults who attend consistently. We got to study, pray, and worship with them this last week. God has been moving in their midst according to their testimonies! They are excited to see what GOD is going to do in the days to come. Malibow (the woman with epilepsy who fell in the fire) lives in this village. 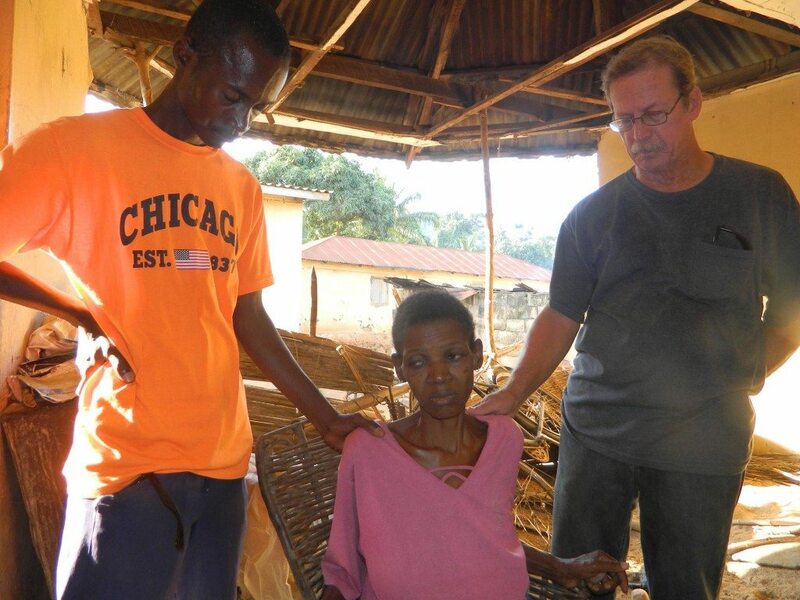 We also met Afowa in August, a 30 year old woman who became a believer when our ministry team was in her village. We also prayed for her distended stomach as we thought she had a tumor. 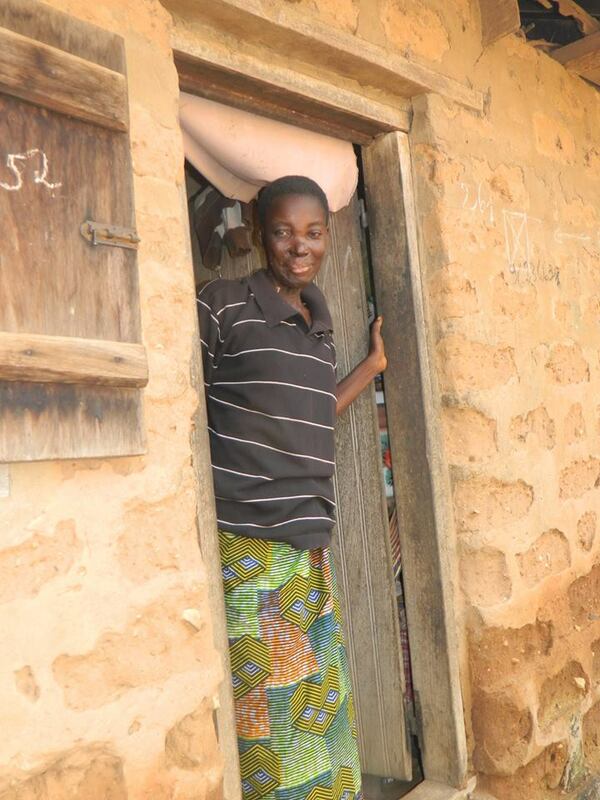 We revisited the village later and found that Afowa had worsened and we were asked to pray again for her. I can’t explain what happened but we certainly “felt” the kingdom of God come into her little room as we prayed for her. We felt lead to take her to the hospital in Tsiko. She had never been to the doctor. 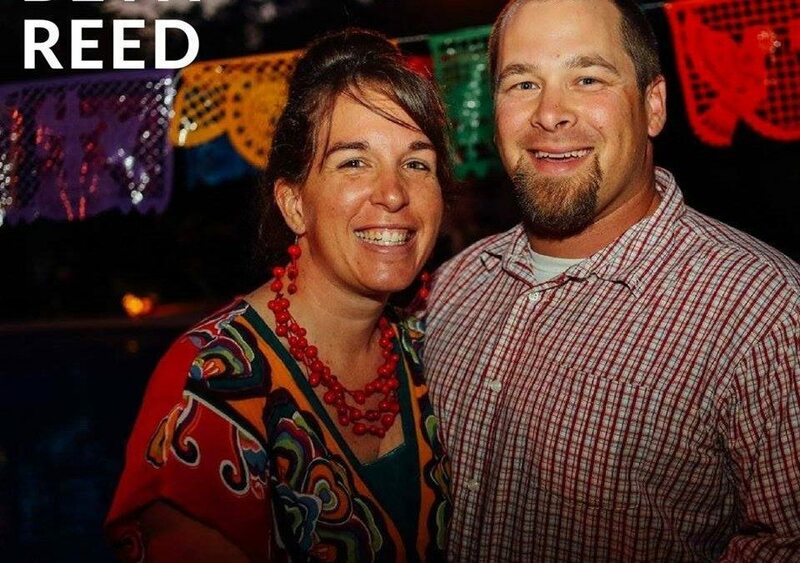 After several tests, they found that her liver was not functioning and prescribed some medications for her to take. 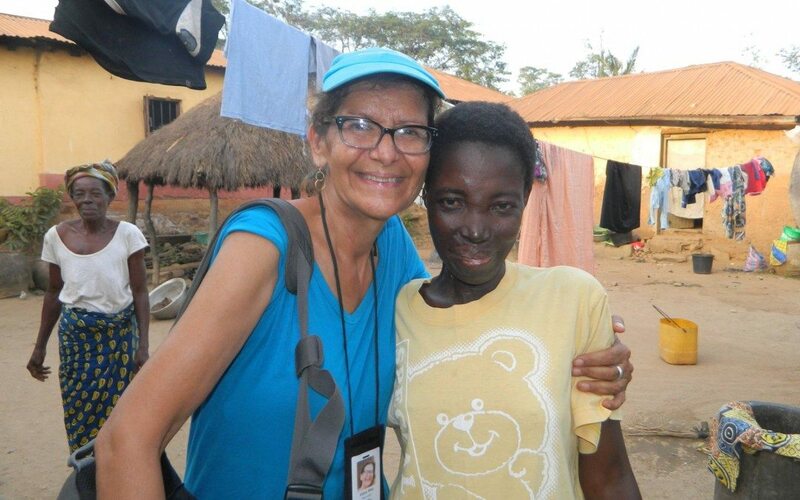 One day in October, she had asked about our ministry team that had traveled with her. 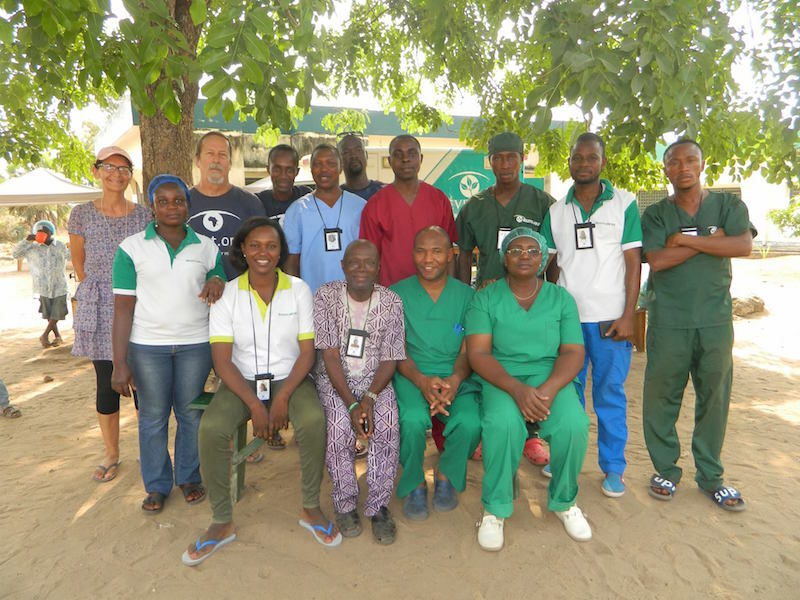 Her husband happily professed that she was very thankful that we had taken the time to care for her. The very next evening, we received word that she had gone home to be with the Lord. We are thankful that she does not have to suffer anymore but ask that you pray for her husband and three children, the youngest is a four-month-old boy. 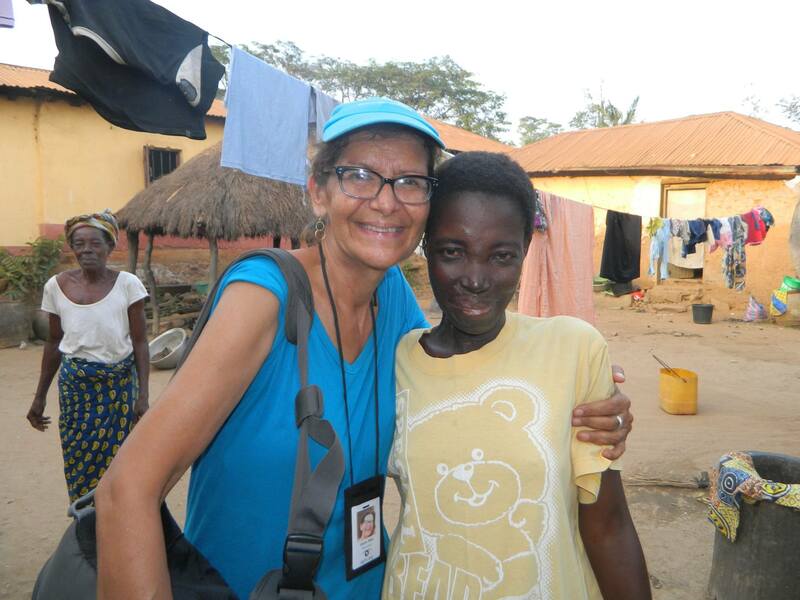 Please pray for her family and the village as they continue to mourn. We have become close to these families. We will have to go visit them on our “off” weeks to keep in contact. Missions is all about relationships. 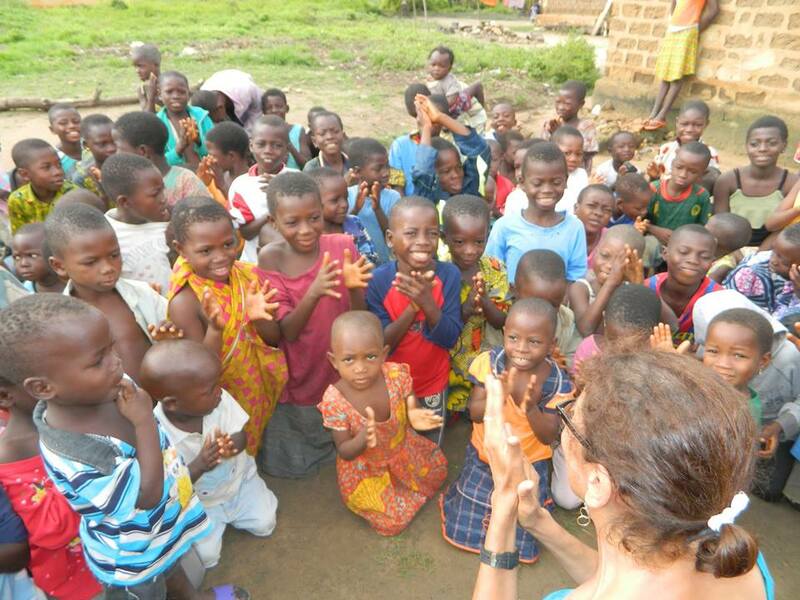 We had fifty-one children in this village for our children’s ministry. They loved coloring their pages. We are hoping to return to the US in February 2017 for a short furlough to visit our children, grandkids, and friends. We can’t wait to meet our two new grandbaby boys who were born in May and July of this year. Lord willing with your help we can purchase our tickets to come home and return to TOGO for another year. May God Bless your families and increase your faith in the work he is doing in your life! If God moves upon your heart to give toward our flights, please check our FB page to sign up for a “spot.” No gift is too small! Also, if you give between now and November 29, you will entered into a drawing for a giveaway of a handmade patchwork bag from Togo. 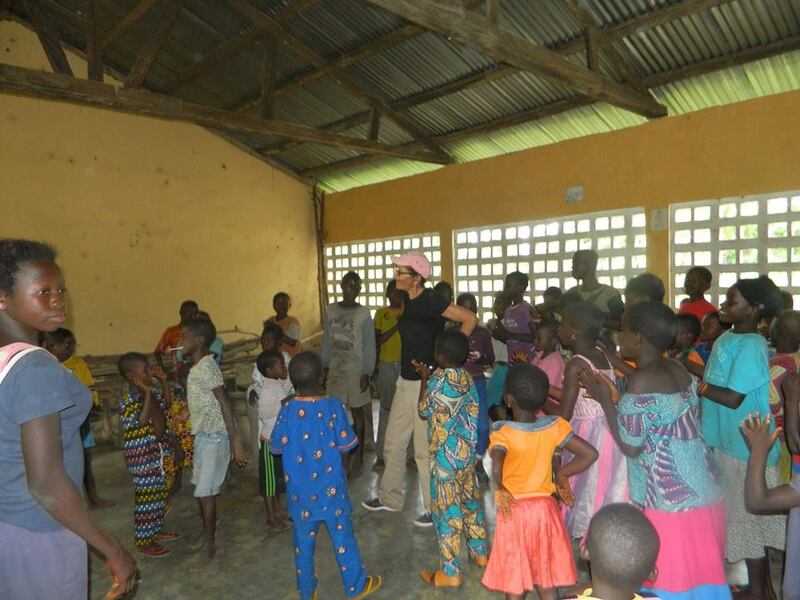 We appreciate your giving hearts to make this possible for us!! GOD Bless You!! 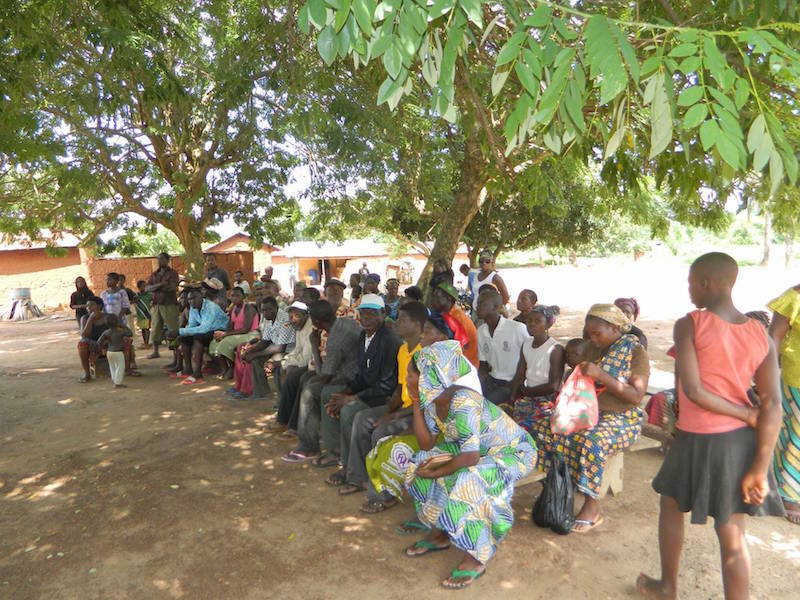 In September we started expanding the ministry weeks in the villages here in Togo, Africa. We have been visiting different villages each week. We get permission from the chiefs of that village first. We do health teaching, children’s ministry, show the Jesus Film along with other Bible films, fit and give eyeglasses, do door to door ministry, and pray for those who ask for prayer. We also meet any other needs that we’re able. 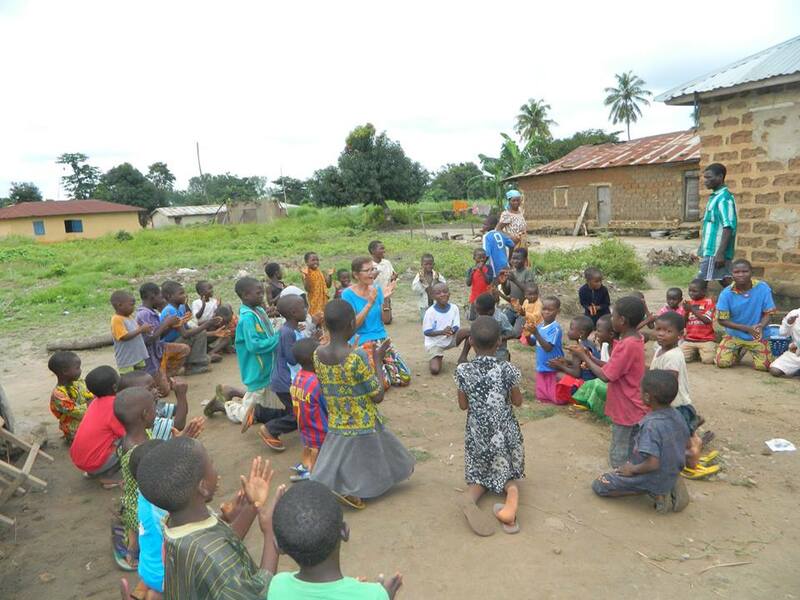 We also have been finding a “Person of Peace” in each village who will be responsible to play the audio Bible. 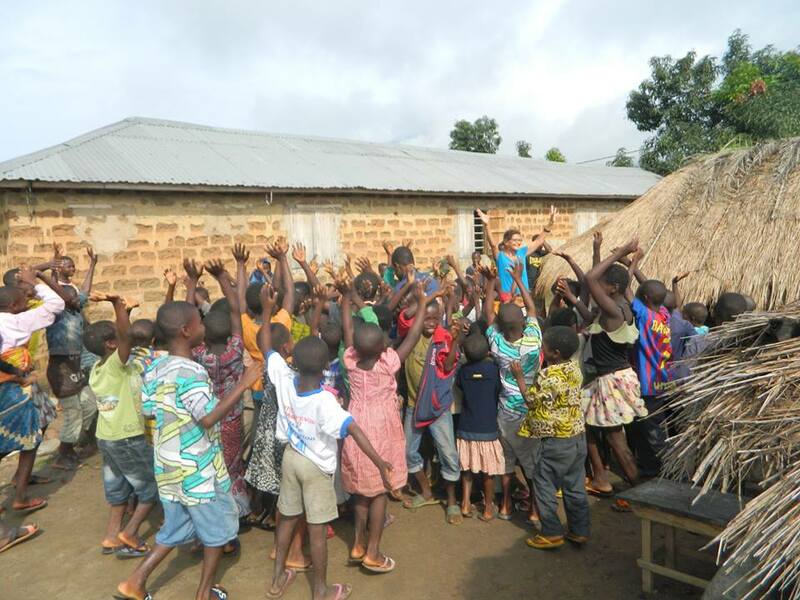 We leave it in their care to help spread God’s Word in these villages! The audio Bible is wonderful because it is played in Ewe, which is one of the languages they speak. 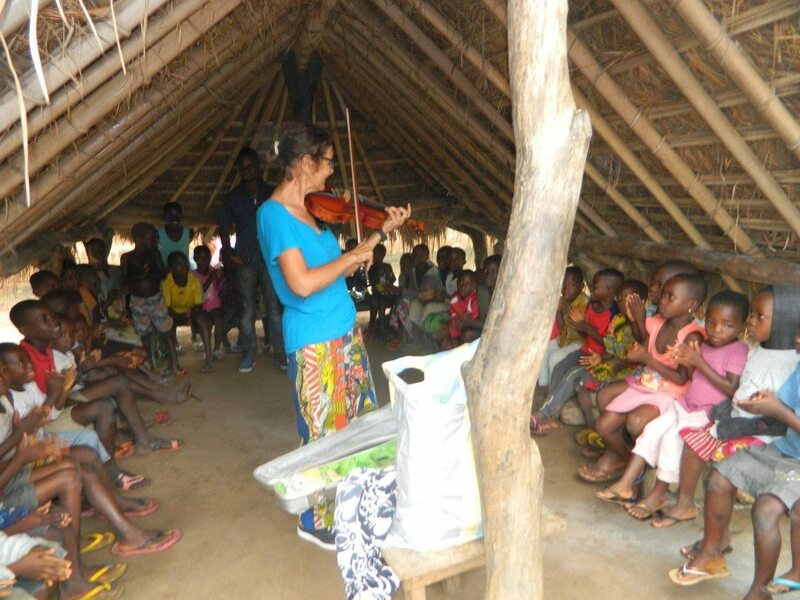 We want to teach the children different ways to worship God and we are using instruments to do this. Wayne and I asked a blacksmith to make bells and triangles to add to the musical instruments that we have been collecting here in Africa! We also have African shakers and home made shakers. 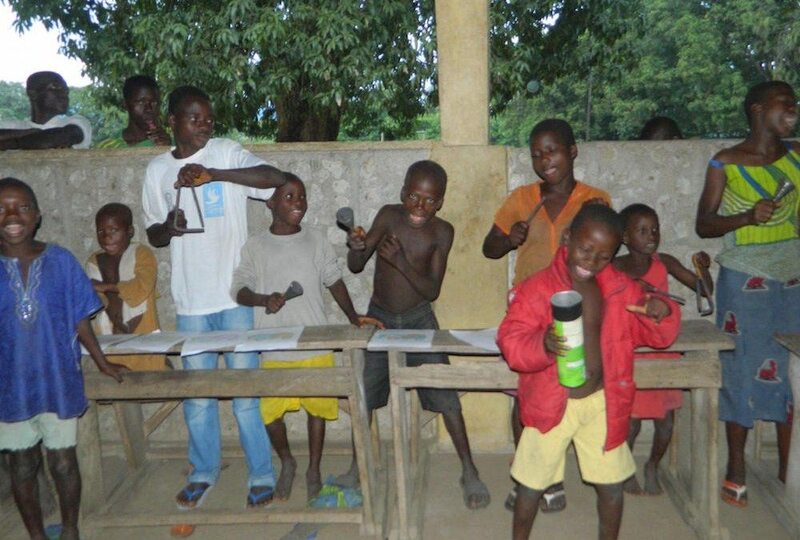 The children love singing and playing the different instruments. We now have about 23 instruments and will add to these as we can. 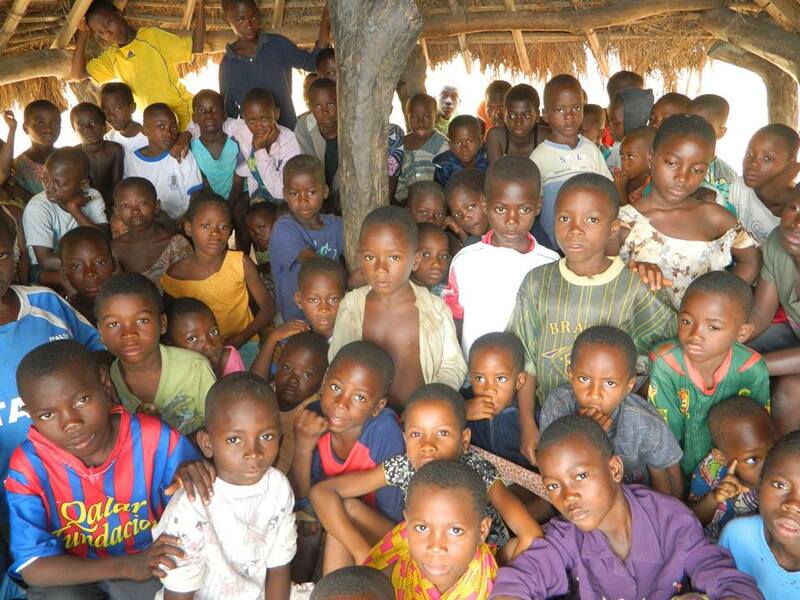 Usually we have about 50-150 children in one village, depending on the size. We “take turns” passing the instruments around and sing a lot of songs, to give everyone a chance to worship our Lord! We also try to have a coloring sheet with a Scripture that goes along with the lesson of the day. 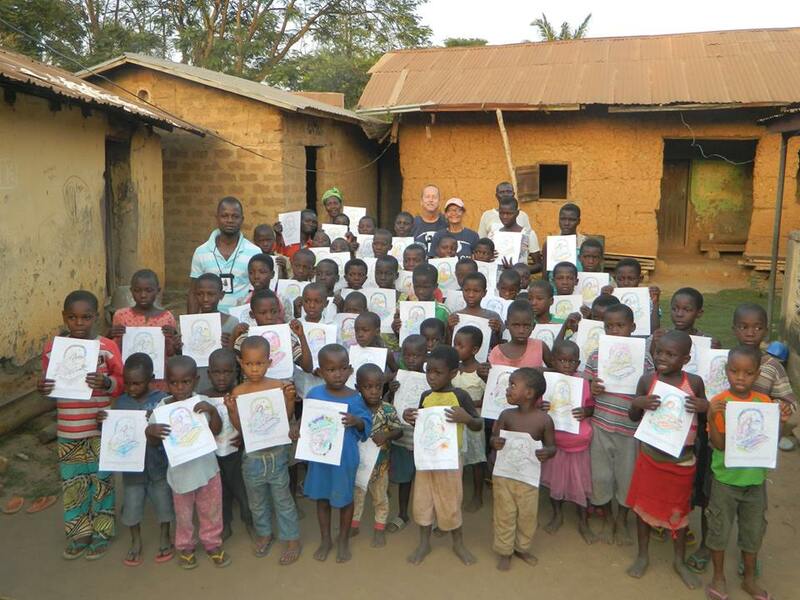 This can be costly to make copies for each village, but when you see their faces and watch them color, it’s worth the expense! Crayons are not readily available here but I sure am glad I bought several large boxes of crayons. They will go a long way! Sight.org has collected MANY used/unwanted eyeglasses. 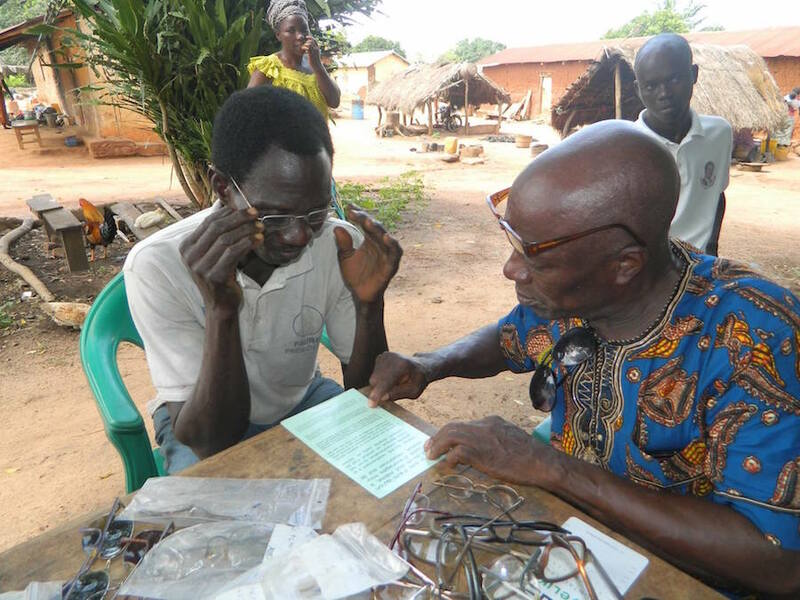 These are given to people who need a little help with their vision. Many want glasses in order to read their Bibles! They even bring their Bible to the screening to make sure they can see with the glasses! The eyeglass cases are just as important because they don’t want anything to scratch their glasses. So if you have some eyeglasses that you have outgrown, contact our Sight.org office in Tyler, TX to make your donation! Or if you don’t have any eyeglasses and would like to buy some reading glasses from the weakest strength 1.25 – 2.50 strength. We run out of these quickly! You can also make a monetary donation to help with the shipping costs. 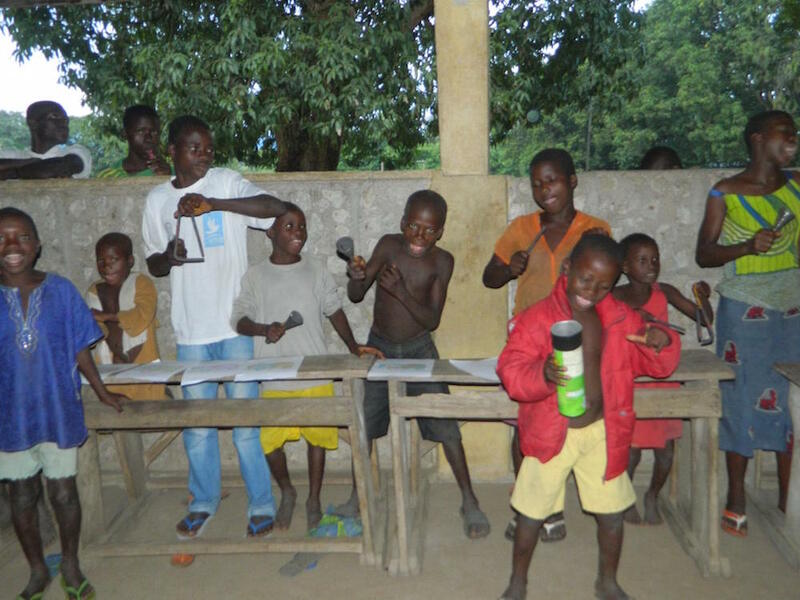 We would like to invite you to help with the work here in Togo, Africa in giving $10 for color sheets or instruments. 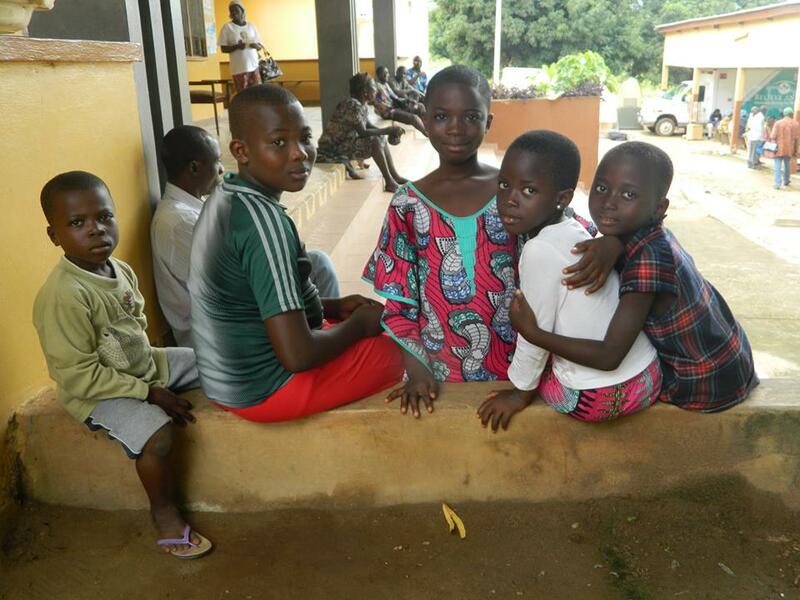 We truly appreciate all our family, friends and church body who support us each month in order for us to do the work here in Togo! Thank you from the bottom of our hearts! Sight.org on the Story Cast Podcast! 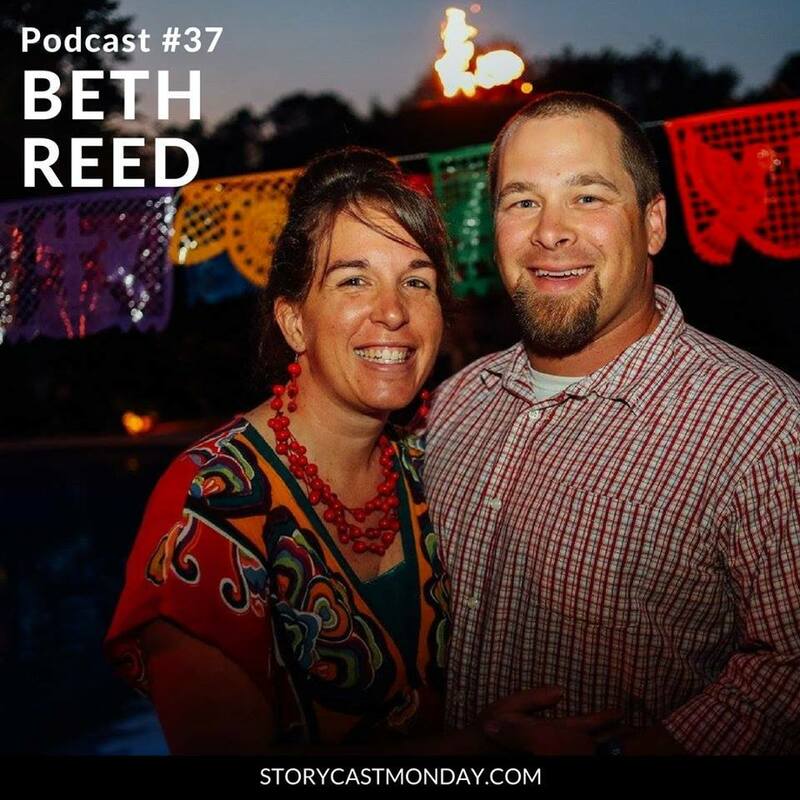 Our very own Beth Reed was interviewed on the Story Cast podcast. 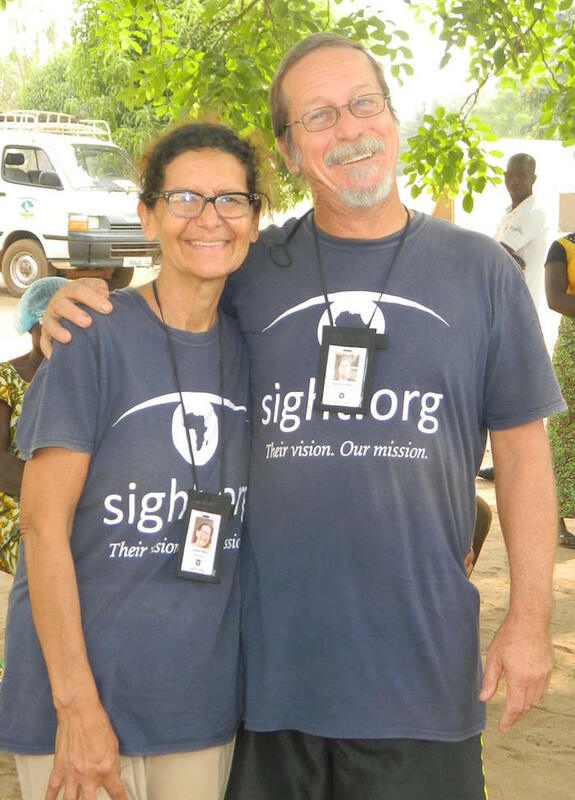 She tells her personal story, Sight.org’s story, and gives a little more information about our upcoming event, Sight Night: The Joy of Sight! There are also a few random stories about football, hamsters, and tattoos. Listen to it on your afternoon commute!